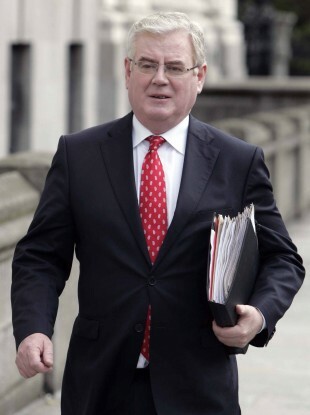 Eamon Gilmore will discuss the situation in Syria, the Middle East Peace Process, relations with the Ukraine, EU-Asia trade relations and also the crisis arising from the conflict in Sudan. THE JOINT COMMITTEE on Foreign Affairs and Trade will be briefed by the Tánaiste on a range of issues – including the ongoing crisis in Syria – ahead of the Foreign Affairs Council meeting today. As well as briefing the committee on the conflict in Syria, which has claimed an estimated 16,000 lives since March 2011, Eamon Gilmore will also discuss the Middle East Peace Process, relations with the Ukraine, EU-Asia trade relations and the crisis arising from the conflict in Sudan and South Sudan with the Committee. Chairman Pat Breen TD said the Committee is keen to discuss the EU position in relation to developments in countries undergoing transition in the Middle East and North Africa: “The crisis in Syria has understandably been a focus of much attention at FAC meetings in recent months and, in particular, the escalating violence between parties to the conflict and the ensuing heavy loss of lives among civilians,” he said. EU-Asia trade relations and the situation in Ukraine – in particular the imprisonment and conditions of detention of former Prime Minister Yulia Tymoshenko, as well as the prospects for the signing and ratification of the EU’s Association Agreement with Ukraine – will also be covered ahead of the meeting today. This meeting will start in Committee Room 1, Leinster House at 5.30pm today. Email “Tánaiste briefing Committee ahead of Foreign Affairs Council meeting”. Feedback on “Tánaiste briefing Committee ahead of Foreign Affairs Council meeting”.